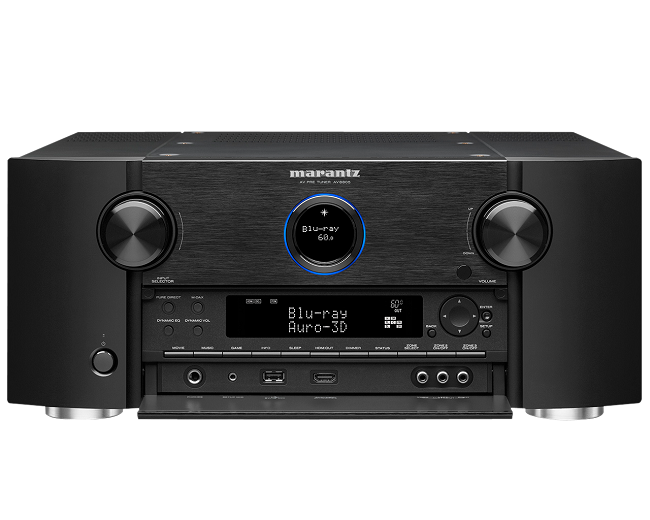 New - Marantz AV8805 Network Preamp/processor - Delivers! Marantz new flagship pre-amp/processor, model AV8805 competes with the world's finest. Not long ago, the AV8802A was the jewel of the crown. The AV8805 now integrated with Alexa and handle up to 13.2 channels with Dolby Atmos and DTS:X that can be configured either 9.2.4 or 7.2.6. There are just too many features to list, from full 4K/HDCP 2.2, multiple HDMI outs and ins, crucially, the AV8805 will accept XLR/balanced out for all channels.